The Chinese perspective on weight loss is very different than from here in the west. In the west, we believe that to lose weight, we need to eat fewer calories while increasing our physical activity to create a deficit. 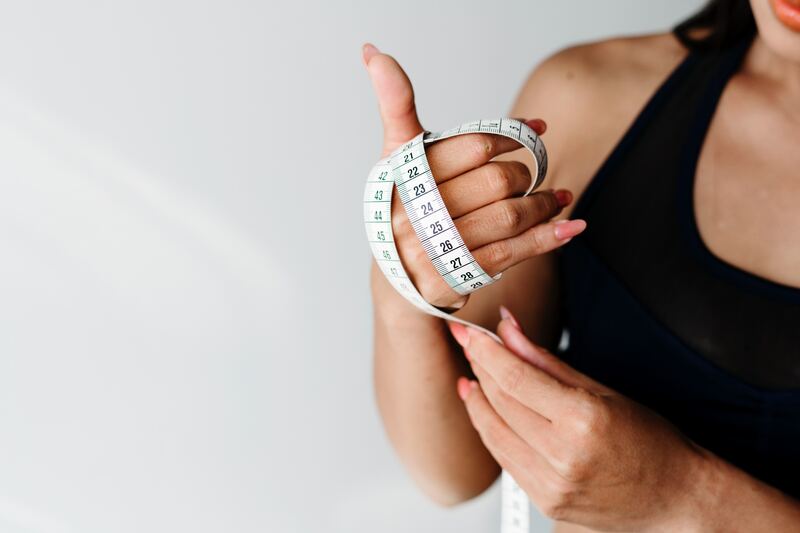 Once we have a deficit of calories, we need to get our energy from elsewhere, so we start burning through our body’s fat reserves, leading to weight loss. While this is true, there are some people who seem to do all the right things (eating healthily, exercising more) but they still cannot lose weight. They may also feel tired and hungry as if their body is not functioning properly, and that is where Traditional Chinese Medicine (TCM) can help you understand what exactly is going on in your body and how you can lose weight naturally. In TCM, weight gain and obesity are seen as signs of an underlying condition called Spleen qi deficiency. This roughly translates as weak digestion, as the Spleen is one of the major digestive organs in TCM. The Spleen helps to extract nutrients from food and metabolizes water. When the Spleen is not functioning well, you are unable to process your food properly, leading to weight gain. A Happy Spleen Can Help You With Weight Loss! Your Spleen helps with water metabolism and assists with weight loss. It is responsible for transporting fluids throughout your body and excreting the excess through the bladder and bowels. When it is weak and unable to do this, fluids collect in the body resulting in what the Chinese refer to as dampness. It is this dampness which is seen as the cause of obesity in TCM, and a weak Spleen is almost always to blame. To lose weight, it is important to enhance your body’s qi, specifically the qi of your digestive organs. Eat more foods that are high is qi such as oats, almonds, eggs, potatoes, and rice. Foods which are especially good for nourishing Spleen qi have a sweet flavour and are orange or yellow, for example, carrots, sweet potatoes, and pumpkin. Only drink warm water as your body loves the warmth and hates to be cold. For the same reason, eat cooked vegetables and avoid salads and raw food. Doing this will benefit your Stomach, Spleen, Liver, and Kidney function to support weight loss. Acupuncture is one of the oldest and most important treatment methods in Traditional Chinese Medicine It works by stimulating special Acupressure points that are all part of an interconnected network that spans your entire body. This stimulation helps restore the flow of energy (Qi) and blood through your body, and this helps your body absorb nutrients and remove toxins. By restoring your body’s natural flow and balance, your organs function more effectively allowing your spleen and kidneys to correctly flush out toxins, and your digestive system to properly break down foods so that you can absorb more nutrition from each meal, helping you eat less. We provide FREE consultations at GinSen Clinics if you are interested in Acupuncture. Visit our website here to find out more. Different teas have different functions in relation to their yin-yang energy. For example, green tea is calming and aids digestion and wu long tea helps the body digest oily and fatty food. Green tea, wu long tea and chamomile tea are low-calorie drinks making them great for every day. If you are looking for a stronger approach, we recommend trying Feiyan Tea. The specially selected ingredients in Feiyan Tea are all natural herbs which work by increasing metabolism (which in turn burns fat quicker), preventing blood clots, and lowering cholesterol. It can also be used to treat those who wish to reduce their blood fat content and patients suffering from habitual constipation. 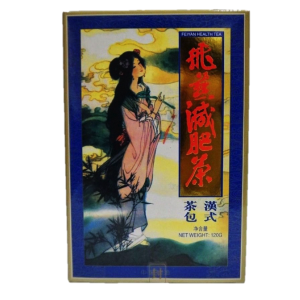 Feiyan tea is also particularly sought after by women who aim to recover their figure after giving birth, as well as patients wishing to get rid of ‘beer bellies’. 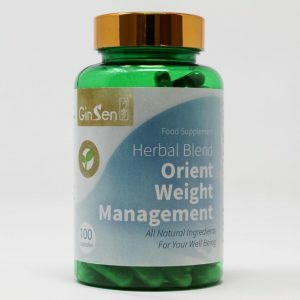 Orient Weight Management is a GinSen experience herbal formula. It is long-used clinical practice and experience prescription by GinSen herbalists. It helps body balance metabolism and digestive system, reduce excess body water retention and body fatty tissue, it is regular colon Cleanse. toxic remove. It provides the strength of Spleen, Liver and Kidney, reduces appetite, enhancing the body’s natural fat burning ability. Shan Zha Slim is a Chinese herbal formula. It is long-term used clinical practice and experience prescription by GinSen herbalists. This product contains some of the finest ingredients to remove body excessive dampness (body fat) restore health weight, balance cholesterol level, colon system oily cleanse. It improves metabolism health and Liver health. 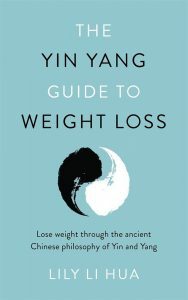 If you are looking for more ways to lose weight take a look at our book: The Yin Yang Guide to Weight Loss. Chinese medicine influences weight loss greatly, if you use it in a proper wqy.